With great tradition and history: the Danish Open are back on the calendar! The tournament are held every other year, opposite year of the Swedish Open. However it was not held in 2017 when the Danish organisation was the host of the European Championship. 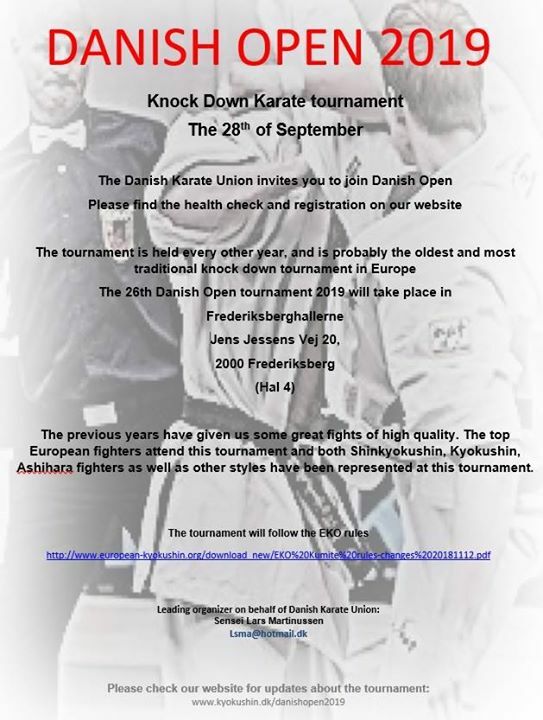 The tournament has been presenting fighters with top European merits, and the Danish organisation always present their strongest team!And as we have seen before – this could be last tournament before the World Championship for many of the top fighters!